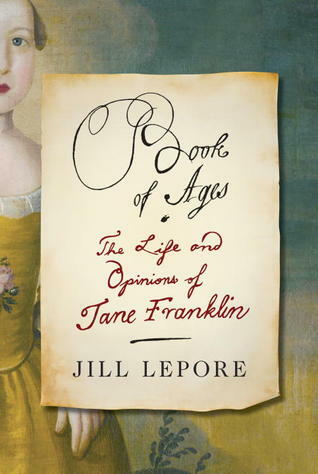 Book of Ages: The Life and Opinions of Jane Franklin, by Jill Lepore is an ambitious effort to bring the reader information regarding the life of Jane Franklin, sister of Benjamin Franklin. She succeeds in some areas, and in other areas I felt that she was lacking. Perhaps, lacking is not the way to articulate my thoughts and feelings. I felt that Jane Mecom’s story was overshadowed by her brother’s life and his deeds. Jane Mecom was a very devoted wife and devoted sister. She was the mother of twelve children, twelve being the total of children she had, but she lost several of them. She also was a grandmother and great-grandmother. She never strayed from home while bringing up her children. 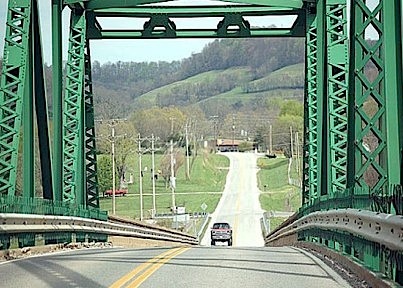 It was not until her husband died that she finally left the house, and from that moment on, she began traveling here and there, sometimes for pleasure, sometimes for other purposes. 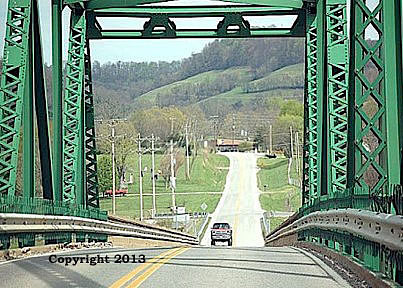 Once her youngest child left the house, she enjoyed an incredible amount of freedom, freedom she had never known. And, she rather enjoyed it, even sharing in her writings that it was nice to see her grandchildren, but also nice that they left, or that she could leave their homes, and be left alone, again. Her solitude was precious to her. Through Jane’s sparse letters, documents, and the many letters of Benjamin Franklin, we are privy to a loving brother/sister relationship. We are also given insightful information on the American Revolution and other events in the history of the time period. Book of Ages is not a biography or a memoir, but more of a historical documentation of the times, bringing forth social aspects, political aspects, and aspects of daily living within the realm and environment of Jane’s life, and the lives of those around her. Some of the chronology is not exacting, and I felt that Lepore loosely dealt with issues and with words that she implied were written or uttered by Jane Mecom. I would have been more pleased if there had been more reflection and information regarding Jane, herself, rather that the overly abundant amount of information regarding Benjamin Franklin. I understand that Benjamin Franklin was an important force in America and overseas. Yet, the title of the book does not exactly produce the information regarding Jane within the pages, as this reader presumed it would. Book of Ages, I came to find out, was the title of a document that Jane Mecom wrote. It was a chronology of the births and deaths of her family members. I would have liked to learn more about this woman who struggled, who lived in poverty, who birthed so many children, who lost so many of them, who did not leave the town she lived in until the last child left the house, and who seemingly led a life of toil and isolation. There must have been more in her life Lepore could have written about, other than the reader being exposed to more information regarding Benjamin Franklin and the events he was involved in. I was fascinated by Jane Mecom’s responses to her brother’s letters. I was surprised by her bad choice of a husband. She married young and married a man who was not a good provider. At one point he ended up in debtor’s prison. She was in a constant state of caring for the children and household, trying to manage the little finances she had, and her own needs came last. This is typical of the times, when women were not considered to be of value. The stark difference between her and her brother is quite sharply written. He lived prosperously, she lived in poverty. He was well-known and respected, she was more or less isolated, he had freedom, she had the house to manage. Possibly, this was the point Lepore was trying to make. I don’t know. I liked The Life and Opinions of Jane Franklin, but yet felt a bit of disappointment in it. The overshadowing of events and overshadowing of Jane Franklin’s brother, and his life taking precedent, in my opinion, left me wanting more regarding Jane Mecom. I would rate The Life and Opinions of Jane Franklin a 3.5, with 5 being the highest. A Guide for the Perplexed: A Novel, by Dara Horn is a book that is ambitious in structure and story. I enjoyed Ms. Horn’s previous books, and that is why I was interested in reading this one, especially her book “In the Image”. The book fluctuates within time periods, offering the reader a scope of then and now, the philosophical and remembrance. Judaism is a significant force within the pages. Maimonides and his philosophies play a large role within the stories that encapsulate the novel. I did not like the characters, they didn’t speak to me. I didn’t find myself interested in, or caring about them, which was a big minus for me. I read to feel something positive or illuminating about the characters, not to be disinterested in them. The story lines (there are more than one) left me feeling a bit empty. To me, Ms. Horn took on a large challenge, and couldn’t quite fulfill it. The stories within the story did not mesh, in my opinion. The story line reflecting the digital age and all it seemingly encompasses, seemed a bit redundant to me. There wasn’t anything enlightening or timely/updating, as far as data. I liked the philosophical aspect, especially regarding memory and destiny. Those issues were not enough to stir my interests until the end of the book. I realize the author was trying to depict issues regarding family relationships, free will, nostalgia, an analogy to the story of Joseph, and memory and history, within the pages. To that end, she did succeed in having me ponder the differences between history and memory. Memory is how we remember occurrences, which is not always how the happened. History, as written through the ages, is what actually occurred at a given time. The word imagery was excellent, and I could see the visuals before me. It wasn’t enough, though, to involve me in the characters and their endeavors and lives. 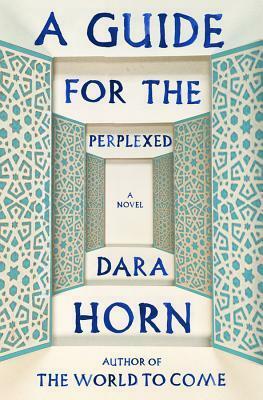 Although I was disenchanted with A Guide for the Perplexed: A Novel, will I read a future book by Dara Horn? Most definitely. The Essays of George Eliot (Complete) is an amazing book that gives the reader insight into the mind and the brilliance of George Eliot’s writing. The essays within the pages touch on a multitude of subjects that Eliot was known to evoke controversy over due to her frankness and starkness of thought. Eliot was critical of trivial plots by women writers who wrote romantic novels to appeal to the female masses. Within her own novels, where romance is involved, Eliot made sure there was a link between romance and self-centeredness and manipulation, and/or romance and the ever evolving woman, along with other standards and issues. Her essays bring a sense of realism to the reader, opening up to them Eliot’s thought processes and her thinking on issues of women and marriage, women and sense of self, women and fulfillment within marriage, women and independence and feminist ideals, women and manipulation, women and self-idealization, etc. They also depict her aversion to religious practices, especially the Christian dogma and doctrine. The reader of her essays (during the time period) could see her defined as an agnostic, and a woman who has broken her ties to Christianity. Religion and her views on it played an important role in her essays. Her depiction of religious authoritarians is not very sugar-coated, but rather forthright and critical. From her perspective, she finds them self righteous in their advocacy of Christianity, yet unequivocally liberal in their own personal lives. Yet, they preached condemnation. She abhorred all that Christianity stood for, and it is quite evident in her essays. This did not necessarily bode well with her readers or those who chose to be critical of her writing and the given subjects. I liked reading the varied aspects of the social stratum, the political environments and the religious aspects within the pages of George Eliot’s essays. They are vital in order to understand the mores and mindsets of the time period. History has been illuminated through her writings. I enjoyed reading her thoughts on humor versus wit, and how her writings on both exhibit her own theories of situational events and mental growth. She seemed to enjoy comparing men to women in the intelligence aspect. She was a woman of humor, herself, and often depicted it in her novels, although at times quite subtly. She definitely was opinionated, and did not falter in expressing her views on any subject, no matter the consequences of public condemnation or praise. Her gift with language and vocabulary is sharp and masterful. Her essays sparked debate within the educated class of the 19th century, whether through condemnation or applause. Her writings reflect her multitude of thoughts and layers of opinions on everything from A to Z that are pertinent to society and social standards. They are intensely written, and filled with seriousness, yet at times a bit of folly is thrown in. George Eliot was a brilliant writer, and I thoroughly enjoyed reading The Essays of George Eliot (Complete). How do you feel about self-publishing? Do you feel it is a viable format? Why or why not? I am having a lot of difficulty with the e-book publications that have been self-published the last couple of years, especially within the last year. Do not get me wrong. I think it is terrific that individuals can have their work published and even sold through self-publishing and through the e-book format. Yet, a part of me is disconcerted and discouraged by it, mainly due to having read quite a few self-published e-books that have left me empty, wondering why I read the book. I always hope that there will be one that will astound me, amaze me and keep me enthralled. It does not normally happen. I usually find myself bored with the book, or find that it offers no satisfaction to me. I find self-published historical e-books to often lack the research involved in order to garner a creditable story line (not all of them). Memoirs are often lacking in substance, and seem to be more of a family history…pertinent to a particular family only, and not the general reading population. There are some novels that have been self-published in paperback format and e-book format that have no substance to them. And, I find that they are part of a trilogy or even have four or five publications, with each one adding new content, such as a new generation, etc. A lot of these are sold for under $3 U.S., and seem to encourage readers with their jacket covers and blurbs. I am glad that readers who might not be able to afford a more pricey book are able to read one for substantially less money. It keeps them reading, at least. But, is that always a good thing if the book is not exactly well-written? What are your thoughts? Tell me your opinion on the subject. Thank you. And, here we are in December, which finds me reading The Elixir of Immortality…almost 800 pages…and I am enjoying each one, so far.